Are you giving frequent printing commands without any success? Sometimes you are fed up by giving repeated commands to the printer but the printer does not respond. This is a common printing error which can be solved after doing a right diagnosis and following correct troubleshooting procedure. Whether you are having a Laser printer or an inkjet printer, the reasons for printing errors can be common. The steps followed below are common to all types of printers. There are two cables that are attached to the printer. One cable is the power cable and the other is the interface cable that connects between the printer and a computer system/laptop. The interface cable can either connect to 25 pins parallel port (older models) or it is a USB interface cable. You have to check and ensures that both the cables are tightly connected to their respective ports. If the problem still persists after the first step, you have to check whether the printer is online or offline. 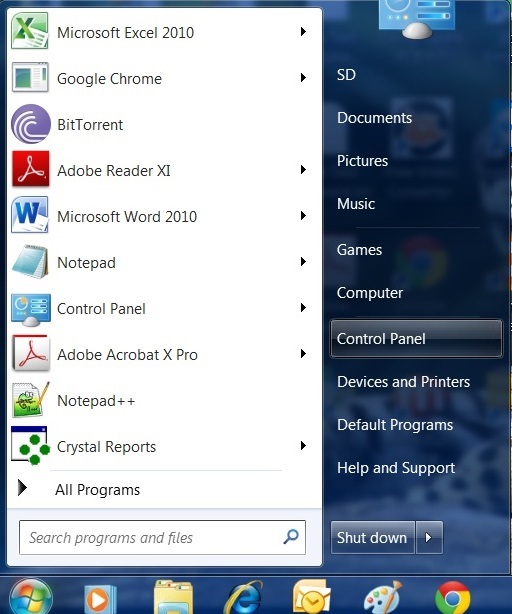 To check this status, you have to go to control panel >> Devices and Printers. Here you will see a list of all the installed printers, whether they are directly attached to the computer or installed through a local network. After you are able to locate your printer name, you have to see whether it is showing Online or Offline status as shown in the figure where the printer is showing offline status. The printer won’t print unless the printer status changes from offline to online. 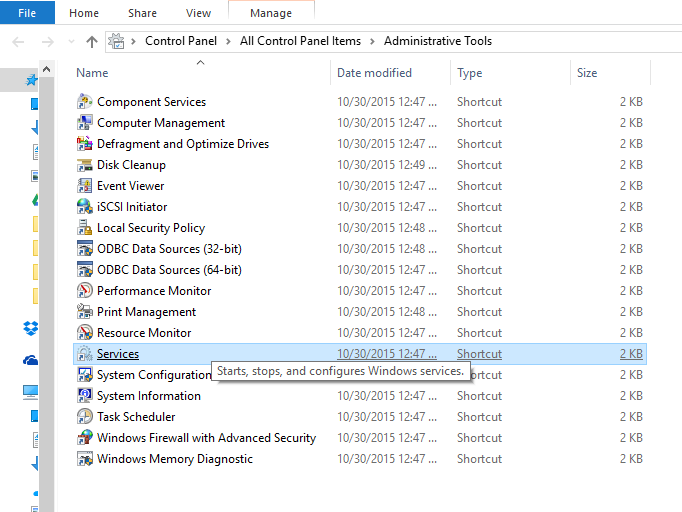 To do this you have to go to control panel Administrative tools >> services as shown in the images below. After you click services you should find print spooler service. Now right click on print spooler you will find various options like start, stop, pause, Restart, etc., You just have to click on the restart button. After doing the above step, you can again check the printer status in control panel>>printer and devices that the status of the printer has changed from offline to online. Now again give a printing command, you will be able to get a print out successfully this time. Sometimes the toner/ink cartridge is not fixed properly in the printer and debars you get a printout. To solve this issue, you have to pull out toner gently and push the toner again so that it gets fixed and aligned in right order. What if printer status id Online and still not been able to get a printout? In this scenario, you have to either replace your USB interface cable or get the interface card of the printer checked from the local service center. When the printer is not working you can give too many commands to the printer which can also choke the printer and stalls the printing. In this case, go to control panel >> printer and devices and click the printer. Ther you can see a lot of printing commands in printer-window. Click Printer and select “cancel all documents”. I hope, by following above steps, you will be able to solve most of the errors related to printing. You can contact me either through contact-me form or can ask any question in comment section.